Blocked storm water or sewer drains have a high potential of causing significant damage to your home or business premises. 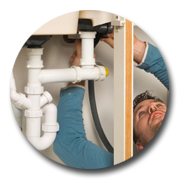 Typically blocked drains occur at the most inconvenient times and require an emergency plumber to clear them. Storm water drain blockages can occur during heavy rains and must be attended to quickly as this problem can have a devastating effect on your property. Naturally the best cure is prevention. There are a number of ways that drains can become blocked, namely through the disposal of material through waste products and through tree roots that access cracks or joins in drainage pipes. Drain blockage issues can be "man made", although the majority of people are aware of what can or cannot be put down sinks and toilets. Products that don't easily break down tend to be the cause of most blockages and these include excessive use of paper in toilets or disposing paper towels into toilets. Dishwasher also can cause issues if food is not removed from plates. Tree roots by far are the most common reason that drains are blocked. This is very true in older homes that may still have clay pipes. As these pipes age, they may crack leaving the smallest of gaps for roots to find their way into the pipe. Inspection plates are also a prime spot that roots will invade. In modern buildings with PVC pipes the incidence of blockages is much less. Issues with these pipes generally arise from bad joins or damage to the pipes. Even the finest of crack in a pipe has the potential to become a mass of fibre capable over time of completely blocking a drain. 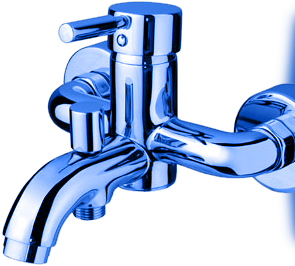 North Shore Plumbing & Hot Water has the technology to give you piece of mind that the drain has been cleared. A CCTV camera can be passed into the pipe, inspect it and provide you with video footage of the drain. Based on this, we will develop a report for you and a recommendation to solving any drainage problems. If you have any problems with blocked drains, please contact us.